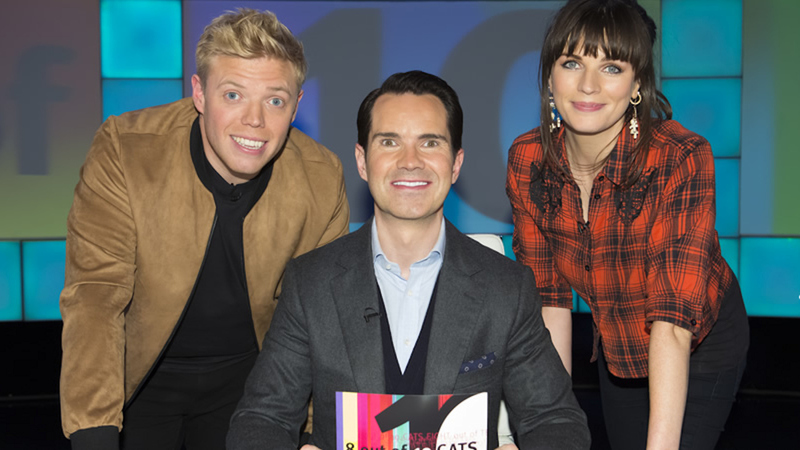 A comedy panel game hosted by Jimmy Carr with team captains Rob Beckett and Aisling Bea. The teams are asked questions relating to opinion polls and statistics based on the week's news. The concluding part of the compilation show of the best bits from the 2012 series. Host Jimmy Carr and team captains Sean Lock and Jon Richardson with an array of celebrity guests. 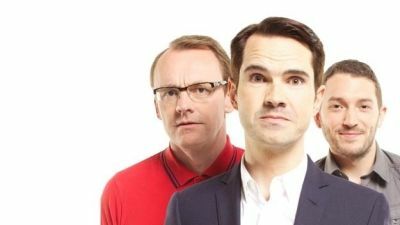 The comedy panel show's cracking Christmas special, hosted by Jimmy Carr. Team captains Sean Lock and Jon Richardson are joined by Jedward, Micky Flanagan, Liza Tarbuck and Greg Davies. Jimmy Carr once again oversees the disputes and deliberations on the topical events that set the nation's chins wagging. 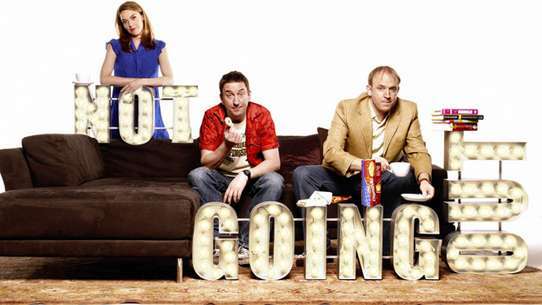 Jon Richardson and Sean Lock are joined by Joe Wilkinson, Ellie Taylor, Natalie Cassidy and Gabby Logan. Highlights from Series 12 of the irreverent panel show. 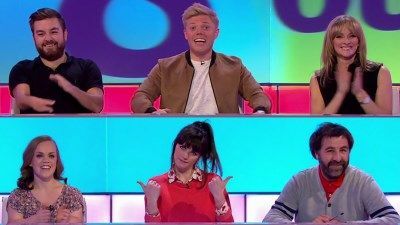 Guests in this edition are Johnny Vegas, Vernon Kay, Paul Chowdhry and Katherine Ryan who join Jimmy and team captains Sean and Jon for more topical quizzing. Guests Reginald D Hunter, Rachel Riley, Josh Widdicombe and Gemma Collins join Jimmy Carr and team captains Sean Lock and Jon Richardson to play the topical comedy panel show that delves into the world of polls, surveys and statistics in its own unique way. 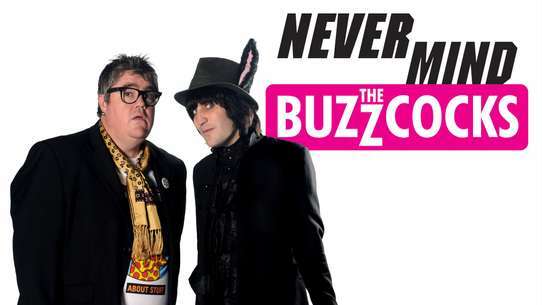 The concluding part of the compilation show of the best bits from the current series. Host Jimmy Carr and team captains Sean Lock and Jon Richardson with an array of celebrity guests. 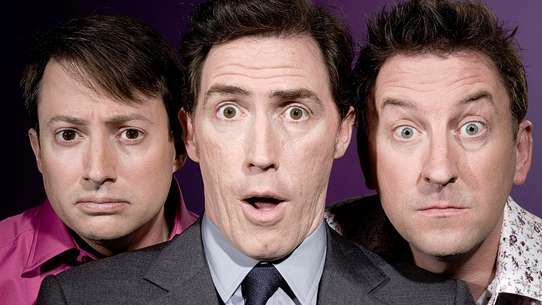 Christmas Special with Sarah Millican, Bruno Tonioli, Stephen Mangan and Joe Wilkinson joining Jimmy, Sean and Jon. Host Jimmy Carr and team captains Sean Lock and Jon Richardson are joined by Carol Vorderman, Chris Ramsey, Mel Giedroyc and Susan Calman for this editon of the topical panel game. Sarah Millican, Micky Flanagan, Georgie Thompson and Louie Spence join host Jimmy Carr, team captains Sean Lock and Jon Richardson to play the topical comedy panel show that delves into the world of polls, surveys and statistics in its own unique way. 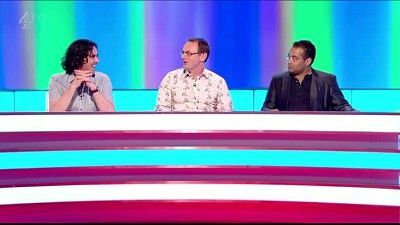 Micky Flanagan, Hari Kondabolu, Tess Daly and Krishnan Guru-Murthy join Jimmy Carr and team captains Sean Lock and Jon Richardson to delve into the world of polls, surveys and statistics in this editon of the topical panel game. Jimmy oversees the disputes and deliberations on the current events that set the nation's chins wagging as Jon and Sean are joined by guests David Hasselhoff, Rachel Riley, and comedians Rob Beckett and Justin Moorhouse. 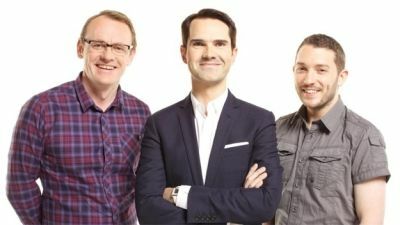 Jimmy Carr hosts the final show of this series of the topical comedy panel show, joined by team captains Sean Lock and Jon Richardson, who discuss the topical events that set the great British public's chins wagging. 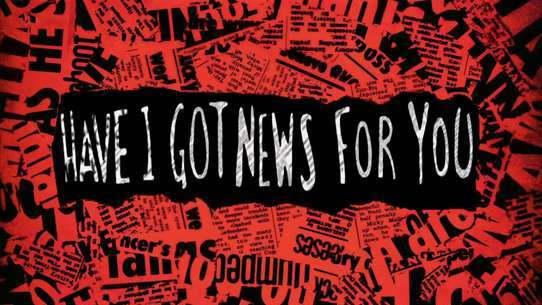 Sean and Jon are joined in their quest to uncover the public's most popular talking points by Jack Dee, Claudia Winkleman, Josh Widdicombe and Mel Giedroyc. Jimmy Carr hosts the topical comedy panel show, with team captains Jon Richardson and Sean Lock and guests Mel Giedroyc, Johnny Vegas, Aisling Bea and Kym Marsh. Host Jimmy Carr and team captains Sean Lock and Jon Richardson discuss the topical events that fire up the great British public. Guests joining them in their quest are Richard Hammond, Carol Vorderman, Paul Foot and Matt Forde. Dr Christian Jessen, Lorraine Kelly, Sarah Millican and Tom Rosenthal join Jimmy Carr, Sean Lock and Jon Richardson to thrash out the hot topics of the week. 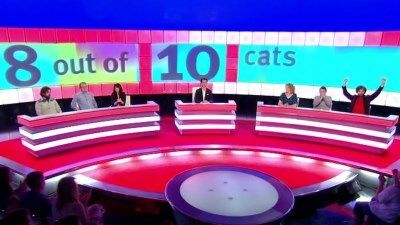 Guests in this edition are David O'Doherty, Kate Humble, Claudia Winkleman and Nick Helm who join Jimmy and team captains Sean and Jon for more topical quizzing. 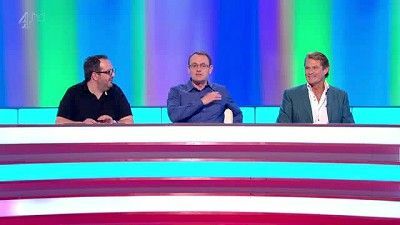 Host Jimmy Carr and team captains Sean Lock and Jon Richardson are joined by celebrity guests Alex Jones, Joe Wilkinson, Danny Dyer and Miles Jupp in this edition of the topical panel game.